I own an independed company that operates in all areas of London within a 20 miles radius from south west london. I gained a good reputation for the completed work from people i had a chance to work for. 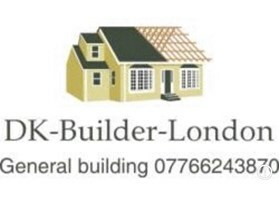 Providing services in all aspects of building work such as, kitchens, bathrooms, painting and decorating, flooring extension and loft conversion. Also taking care of work in the garden such as building a fence or a shed, but also taking care of brickwork and all the outside jobs you might need. I carry out domestic and comercial work. Please contact me through email or telephone for a free quote. South west London West London East London North London South london Also can do work outside london.